And that abandoned telecommunications laboratory went on to become exactly that. 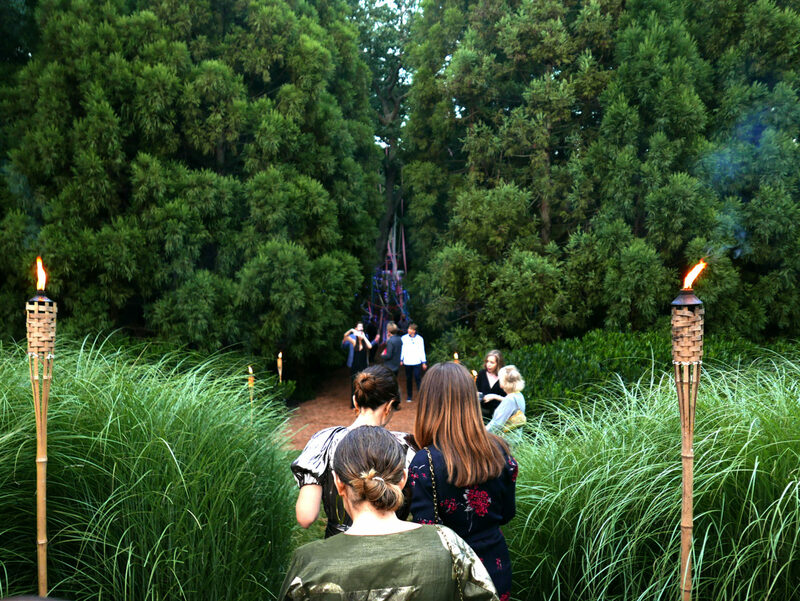 Dubbed The Watermill Center, and set on eight-and-a-half acres including an outdoor sculpture garden, the arts compound encourages and pushes artists to explore the experimental and helps them to realize projects that otherwise might not be developed. The veteran experimental theater director and visual artist has had a wide-ranging career—from his VOOM portraits and theatrical productions with Lou Reed, notable operas at La Scala in Milan to winning a Golden Lion at the Venice Biennale for his sculpture. His collaborations, too, are seemingly endless; with acclaimed performance artists Lady Gaga and Marina Abramovic to musical heavyweights Tom Waits and Philip Glass. 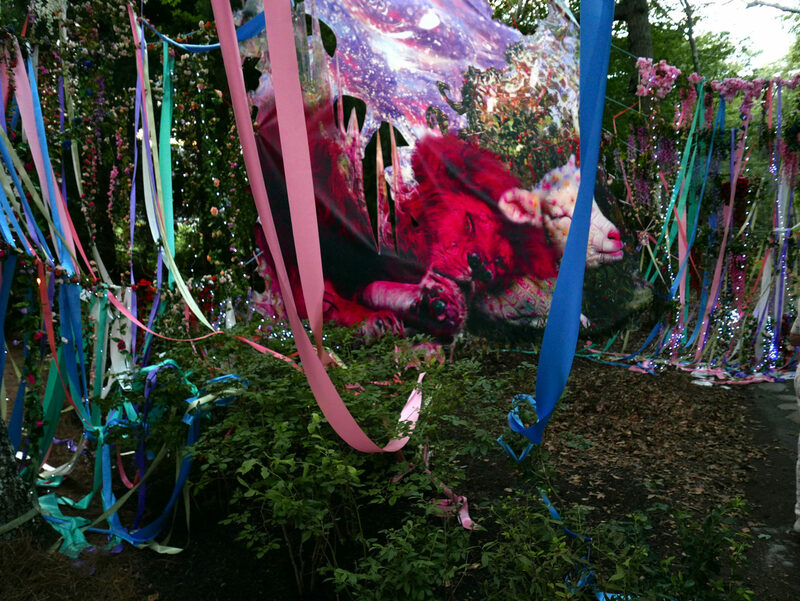 But it’s the raw energy of emerging talent that drove him to set up a communal space for artists back in 2006. 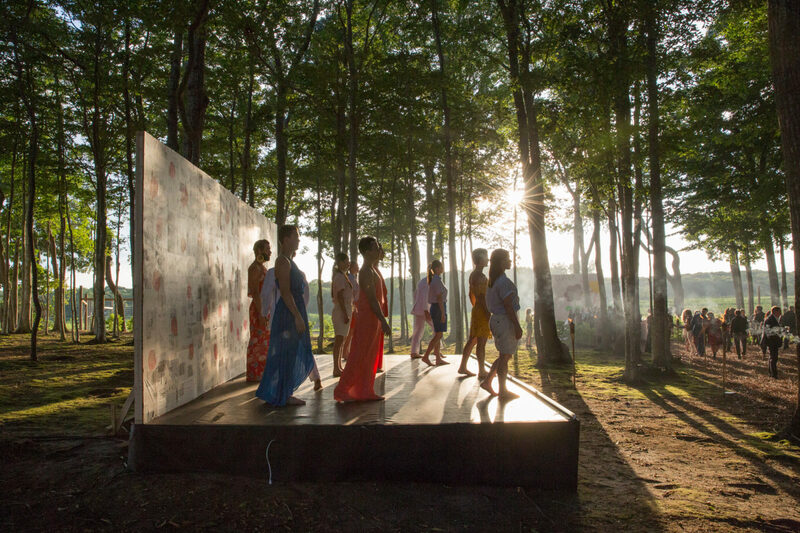 “Over many summers, alongside artists and friends, we constructed The Watermill Center, a laboratory for performance,” says Wilson. 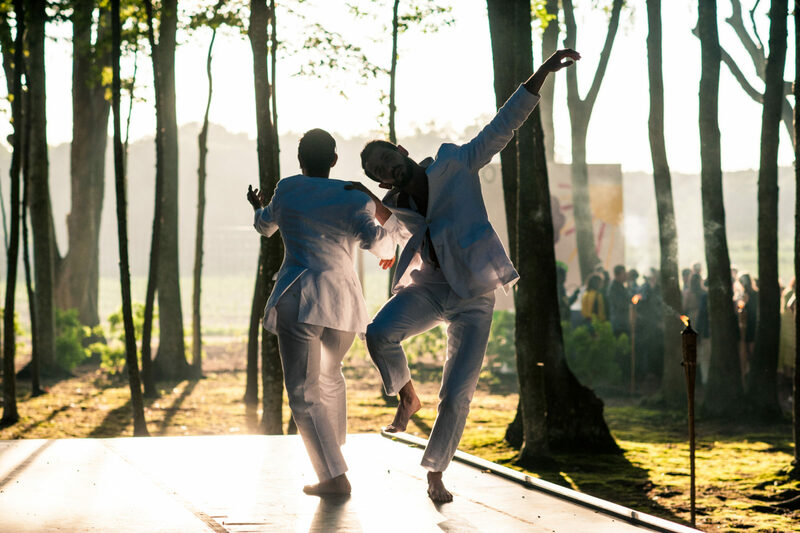 Connecting the worlds of art, performance, music, theater, design, architecture and fashion, each year The Watermill Center hosts a summer benefit gala. 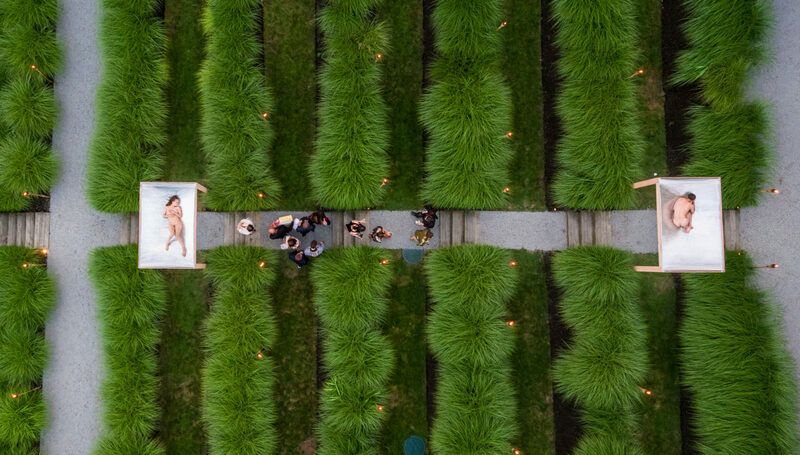 We reached out to New York-based artist Jen DeNike, a supporter of The Watermill Center and friend of FvF, to shoot the Fly into the Sun gala. 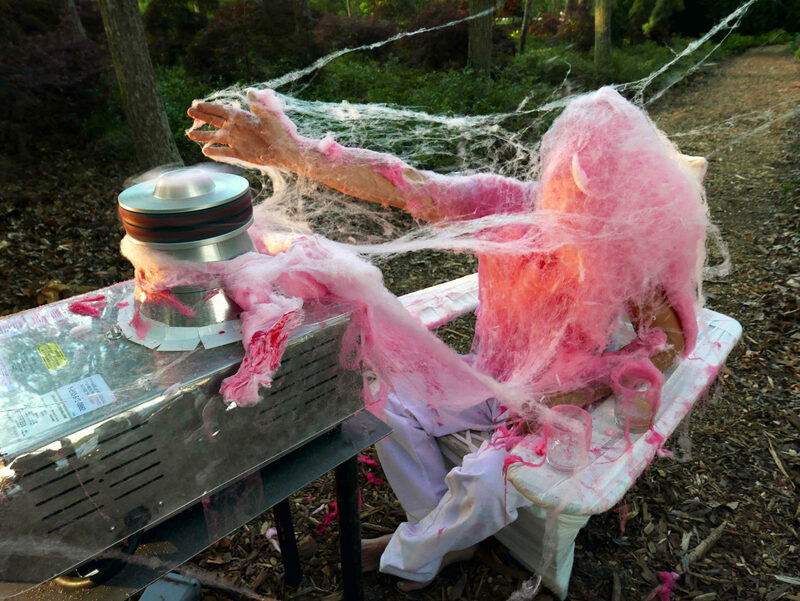 DeNike, an artist in the Museum of Modern Art Collection combines video, photography, and performance. Wilson spoke to six of the current artists in residence and posed each of them with a question about The Watermill Center. Read on for their responses and listen to a mixtape dedicated to this year’s gala subject, Lou Reed. I am a sound engineer and designer from Berlin, Germany. Born in the beautiful city of Munich in 1994, I moved to Berlin to study music production. Already during my time in college I interned in a theater, the Berliner Ensemble. Even though I didn’t have much contact with theater in my younger years, I fell in love with working in theater, and sound in theater became my main profession. This was also the place where I got in touch with Robert Wilson’s works and Watermill, being a regular part of the performances shown in the theater like the Three Penny Opera or Peter Pan. Finally, I met Bob himself and several former Watermill participants during the rehearsal for Faust I+II in early 2015. 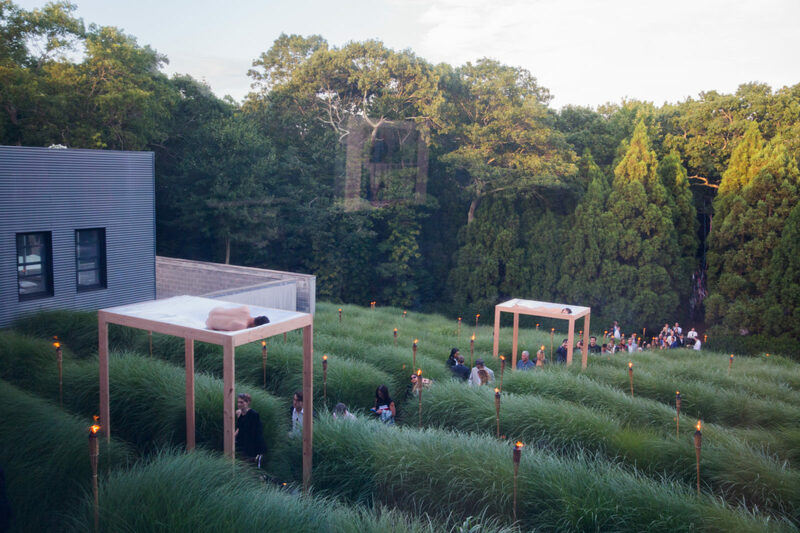 Hearing so much about this place I decided I wanted to try to go there and I came to Watermill in the summer of 2015 for the first time and since then continued working on Robert Wilson’s productions and have returned to Watermill every year. As paradoxical as this may sound, I started to take myself and my work far less seriously after coming to Watermill a couple of times and getting relaxed about sharing my work and my artistic ideas and ideals with others. 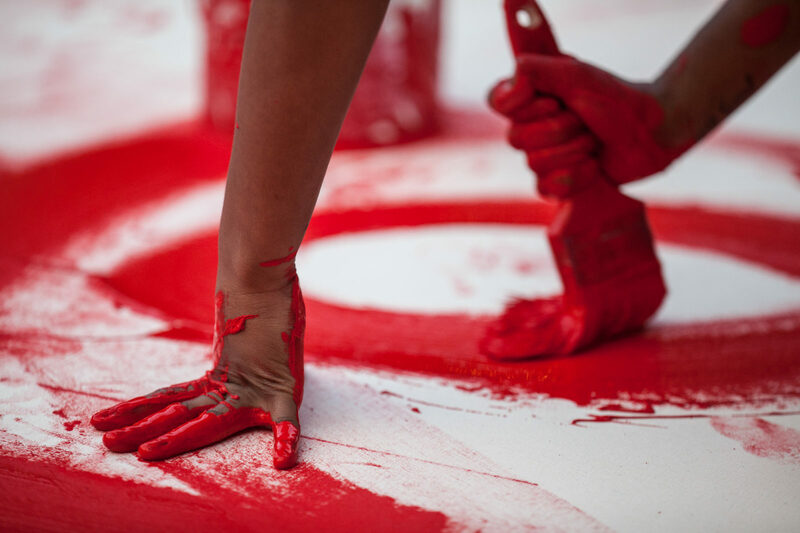 Speaking my mind about art with such a vast group of different people I slowly began thinking that it is not about what you have to say but what you and the other is feeling while saying it. I began to understand that it is not about what your rational decision about something is, but that something exists and therefore it is relevant how and why it moves you. In other words; I think that Watermill allowed me to relax about being relaxed and doing what I want to do because it brings me (artistic) pleasure. And not do things that I think I should do, because they follow a certain ideological, intellectual premise—because I convinced myself in to thinking that way. What started as an emotional shift in my second year at Watermill, and avalanched through the third and fourth year here, ended up as an ontological shift in me and my work toward humanity, towards living humanism and not attempting to revive remaining ideological ruins. I am not trying to suggest that this is necessarily the way one should be thinking about art, I am trying to say that this for me this was the effect of meeting 70 new artists from around the world every year and that brings me and the people with whom and those for who I work, joy. I first came to Watermill in 1997 when I was 17. I saw one of Bob’s works at the Brooklyn Academy of Music in ’95 and felt that I’d inadvertently found something I didn’t know I’d been seeking. I’d been spoiled by the richness of the downtown avant-garde scene in New York, but witnessing Bob’s work was like walking into a lunar landscape; someplace outside of time and space. It moved me immensely and appealed to whatever glimmer of an idea I might have had at that age of what I wanted to explore in the world. I wrote him a letter when I was 15 and by the time I was 17 and had graduated high school, I was invited to spent the summer out here to take part in workshops. 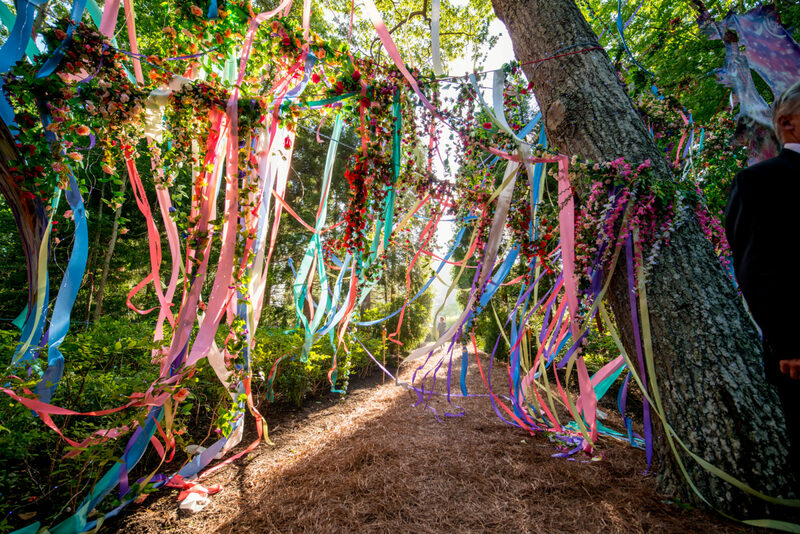 We worked arduously for seven weeks, rarely leaving the grounds. It was an indescribable experience, being this precocious queer kid from the Bronx dropped into this milieu that quickly became a tightly-knit family of misfits who reunited every summer to pick up, more or less, where we left off. I wanted to learn everything and do everything and that, in a way, informs my intense curiosity with the world outside the tiny sphere of theatre and performance. I’ve been coming as a participant at The Watermill Center’s Summer Program for six years, and always fascinated by the junction building of the Center, called the Knee. 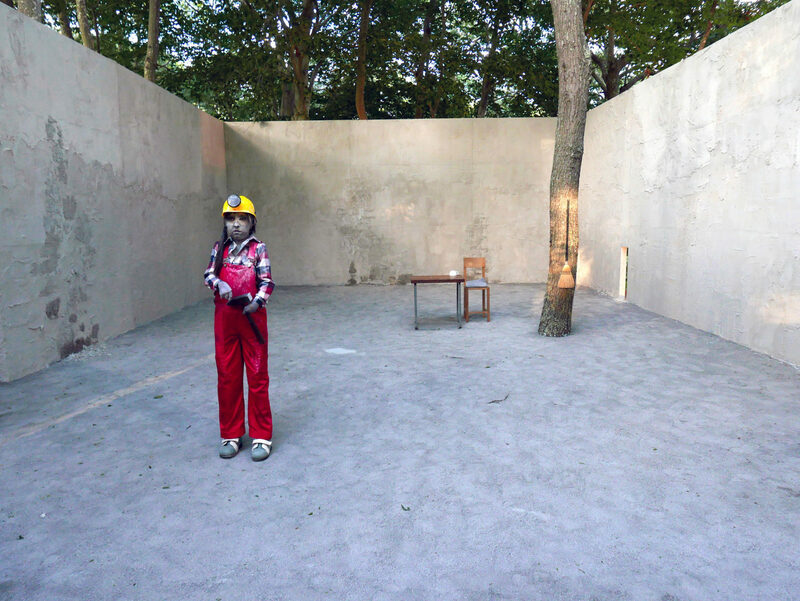 The Knee Building is a square tower containing all the coordinates and contradictions of the human perception of space.The cardinal points are indicated by four doors, two of them are opened to light, framing a soft and sharp sea of tall grasses shaking with the wind, and a silent, still plain of gravel with the woods in the background. A visitor could just imagine that behind the two closed doors are hidden a dormitory for eight and a conference room with a black parquet floor, representing the personal space of repose and the open circle of a ritual Agorá which take place every morning during the Summer program, where tasks are assigned and solutions to problems found. While inside the Knee he would walk carefully, stepping on big, rounded stones, being forced to listen—the verticality of the space vibrating the echoed noises of the life inside the building and the filtered rumors coming from outside. As in a church or a sanctuary, he would not usually dare to break the thickness of this air by speaking with a loud tone of voice. This place where the opposites meet in a concentrate atmosphere is a synecdoche of the experience of the Summer Program and an amazing architectural concept, which I encourage to explore in different times of the day to feel the variety of wonders this incredible place reserves to anyone has the good fortune to pass by here. I have been going to Watermill for 22 years where I have met intriguing people who have shaped who I am today. First of all, there is Bob Wilson who I love and consider to be part of my family. I am fascinated by Daniel Stern, whose life’s work centered around the study of babies; Tom Waits, Philip Glass and Rufus Wainwright whose music moves me; Susan Sontag, who my own political, feminist mother taught me about when I was a teenager; Marina Abramovic whom Bob has worked with and supported for years; Tania Bruguera whose socially engaged, powerful works I learned about when she was an Artist in Residence at Watermill in 2007; Christopher Knowles, a truly unique and special poet and artist who has been working with Bob since he was a child; Sharon Stone and Isabella Rossellini, who also support The Watermill Center and Bob’s work in addition to the all the other interesting collaborators, many of which have become good friends. However, out of all these people that I have met in Watermill there is indeed the most interesting person for me—my wife and the mother of my second child, Stephanie, who was a participant at the International Summer Program in 2012. Coming from a Mediterranean country, the bond and value of family is very strong. The family, is a smaller scale of a community. Working together with people brings a better awareness of one’s individual self. The diversity and difference of each personality, when working in a group for a common goal, makes the working process more interesting, and creates a stronger energy. 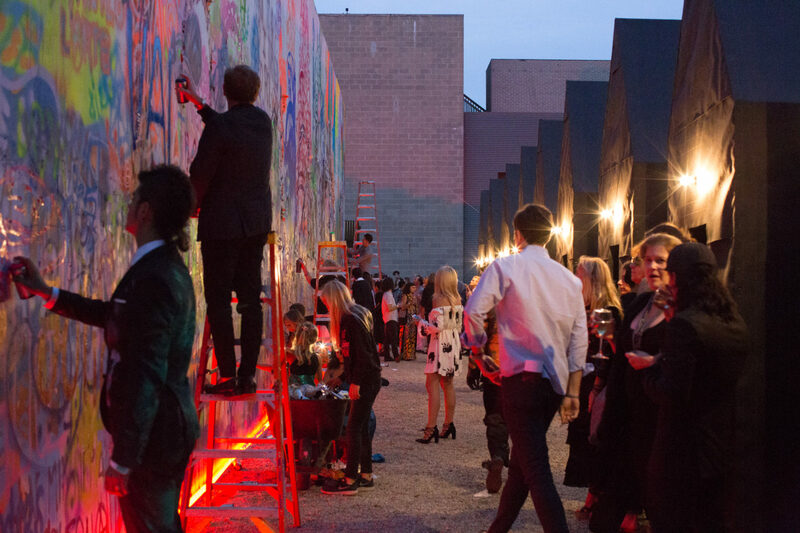 This years’ gala, Fly into the Sun, honored the artist Laurie Anderson and the actress Isabelle Huppert. 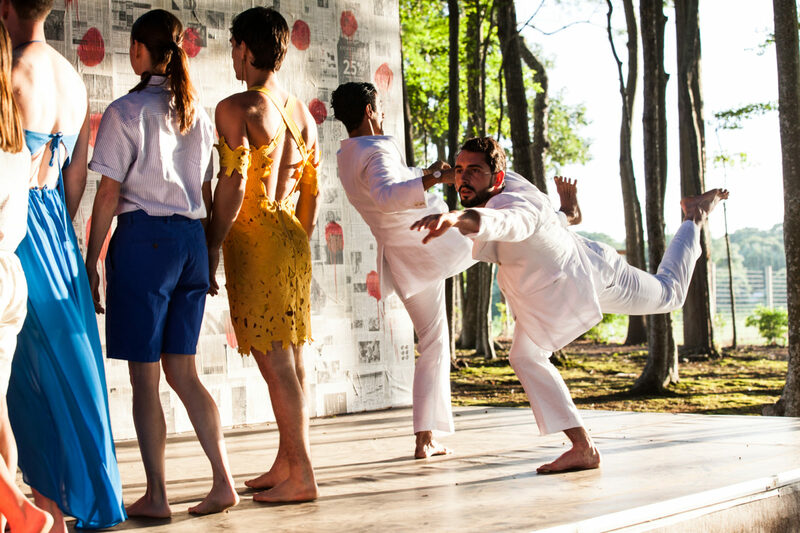 The evening was a tribute to the late Lou Reed, a constant figure at The Watermill Center, having collaborated frequently with Robert Wilson, specifically when they wrote an opera based on the work of Edgar Allan Poe. Many thanks to Robert Wilson, for taking the time to ask these questions and for both creating and supporting the arts all these years. Also a big thank you to Jen DeNike for photographing the gala for us. Stay tuned for an event taking place in the FvF Friends Space with Robert Wilson.